In South Africa, Whites average IQ 94, Indians average IQ 86, Coloureds average IQ 83, and Blacks average IQ 65. Perhaps because of malnutrition, Whites in South Africa are 6 points below their genetic IQ of 100 (i.e. the IQ they would have had if reared in the First World). By contrast, the more severe malnutrition of post-apartheid leaves Blacks scoring 15 points below their genetic IQ of 80. I suspect Indians in South Africa live in environments similar to whites and thus are also 6 points below their genetic potential. This gives Indians a genetic IQ of 86 + 6 = 92. Earlier I estimated Indians have a genetic IQ of 86, but this is too close to the black genetic IQ of 80. Indians feel superior to blacks and Indians are to blacks as Ashkenazi Jews are to gentile whites in the sense that they dominate them entrepreneurially to the point where Idi Amin through them out of Uganda. Similarly gentile whites get hostile to Ashkenazi Jews for dominating Western businesses and media. So if Ashkenazi Jews are genetically 10 IQ points smarter than white gentiles, Indians should be genetically about 10 points higher than pure blacks. Of course not all of the economic superiority of Indians and Jews can be explained by high IQ; a lot of it can be explained by superior social organization and networking. My celebrity friend Robert Lindsay is a big critic of India, and he explains why here. Why malnutrition make Indians score only 6 points below their genetic average just like Whites ? It doesn’t make sense because Indian are poore than Whites, so the malnutrition should affect them more. Well South African whites are 6 points below their genetic potential. South African blacks are 15 points below their genetic potential. It doesn’t add up to 94. So my guess is that whites made sure the Indians and Coloureds had as much nutrition as they did to keep them on their side against the blacks. What is the IQ of Indian tribals like the Paniya or Irula? These are groups with the highest ASI. For example, Moorjani et al estimates Paniya ANI at 17%. Which means that their ancestral South Indian proportion is in the 80’s. We need to look at what sort of Indians are found in South Africa. Are they merchant types? Honestly, every subgroup needs to be studied separately. From a racial standpoint the Kashmiri Pandits have the highest ANI. Tamil Brahmins are among the lowest( for Brahmins that is–they are still one of the more caucasoid groups). This is the disparity in terms of admixture we see in India. So, why is this disparity not applicable in terms of IQ? Well I’m assuming Indians in South Africa are roughly representative of India’s overall gene pool or at least of the average Indian. If that assumption is wrong, then my estimate can’t be generalized. Honestly, if the Indian IQ is to be averaged, it may end up being way lower. A lot of tribal types do not have access to schools due to poverty. So IQ from that segment probably has not been measured. Another comment. 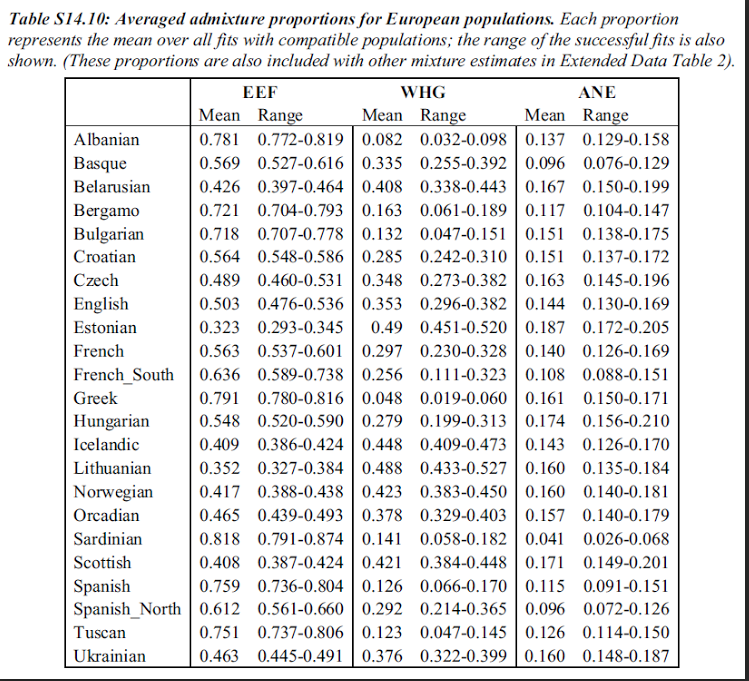 We all know that East Asians have the highest Neanderthal admixture among Eurasians. People have been making the assertion that due to Australoid admixture, India will have lower IQ. Then explain the East Asian neanderthal situation. It is pretty much known now that the Japanese have a very Papuan-like ancestry, or Australoid if you prefer. In fact some ancient Japanese DNA tend to be shifted towards Southeast Asia. Yet, from what I see, the Japanese were not negatively impacted by these admixtures from an IQ standpoint. Japan had exposure to the ice age which would have driven the average IQ way up, and eliminated any australoid phenotype. Well, I can see why getting rid of Australoid traits would be important for Brahmins. They wanted to maintain the status quo. Meaning, the caste system has them on top. To stay on top, you need to use your intelligence a little bit. The Brahmins are probably one big reason why India remained a majority Hindu country. Both Muslims and the British failed to change that. By the way Pumpkin, the Caucasoid ancestry that Brahmins have is steppe ancestry. Is this white or non-white caucasoid ancestry? The Indo European language we know came from the Pontic Caspian steppes. Also, Andronovo scythians were known to have blonde and blue eyes. Supposedly, Indo-Iranian languages came from the Andronovo culture. What happened was the White Caucasoids mixed with Non White Caucasoids as well as indigenous Indian population to create present-day Indo-Aryans. What I am saying is, in your future calculations you may want to take this into account. It is not a simple mix of non white Caucasoid and Australoid. Japanese came from Chinese who are already been exposed to the ice age. The native of the Japan are Ainu and actual Japanese have a little Ainu admixture which make their IQ being a little lower than Han Chinese. Pumpkin, I have seen that you are employing a lot of time the term “sociopath” but not often the term “psychopath”. You are also often talking about “high fonctionning sociopath”. According to this article you are wrong to use this term of sociopath, because psychopathy is a biological trouble, and you can be a psychopath without looking dangerous at all. I would like to have a clarification on the subject. I like to keep things simple, so to me the terms psychopathic and sociopathic just mean evil. Now if you believe folks are born evil you tend to say “psychopath” while if you believe society makes people evil, you say “sociopath”. But I believe folks are born evil, yet I still prefer the term sociopath, because the term psychopath gets confused with psychotic, which means crazy. They exploited the resources of the country and lived in a lot more comfort on average than say an American or Canadian – even if they had a lower GDP, due to purchasing power it went a lot further. Yes but that is not the case now. By the way, how do you explain the IQ of Bhutan (which is at 80)? It appears that the ice age did not help them much. It is well known that they came from Tibet. Not large enough population, I guess. I’ll just copy-and-paste a comment I left on another post. I think it fits better as a response to this post. Let’s be conservative and suppose that India’s genetic IQ is likely in the 90-95 range. Malnutrition in India is on par with Subsaharan Africa. We know American blacks score >15 points higher than African Americans despite having only 20 % white admixture on average. Low 90s is not really that low by global standards. Guyana is split between East Indians and Africans. It’s a third world country. If Blacks there have an average IQ of 75-80(which seems reasonable) , then Indian IQ should be in the 90s range. And keep in mind that Indians who ended up there are from the peasant/labour class. Most of them are lower castes and from the poorest states in India (UP/Bihar). Bihar is especially bad even by Indian standards and has horrible malnutrition and poverty. The bottom line is that India’s IQ, in a relative sense, is really not as low as one would think. Also, refer to Indian people like single race is like refer to americans like race. That assumption would be wholly incorrect. Traditionally the South African Indian community comprises of two distinct segments. 1. Indentured laborers from bottom castes in South and Central India (although they are concentrated in Durban large amounts have made their way inland to Johannesburg and will be represented in the study. This segment makes up the large majority and I suspect their genetic potential would be lower than an average Indian. 2. Gujarati traders (from India’s west coast) – largely muslim but sizeable amounts of hindus. I suspect their genetic potential would be higher than the former group though they are found in smaller amounts. Further given the fact that this group originates from old ports there may exist certain non-indian genetic elements particularly in its muslim population (which is uncommon for most of the subcontinent). I believe the South African Indian to traditionally be wholly unrepresentative of India.